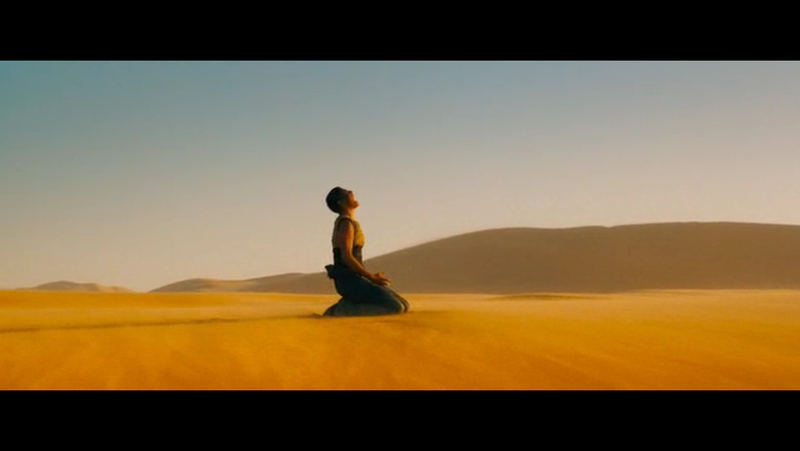 In Mad Max: Fury Road, Max drives a tanker truck through a desert wasteland in order to help rescue a group of women from the psychotic warlord who is pursuing them. 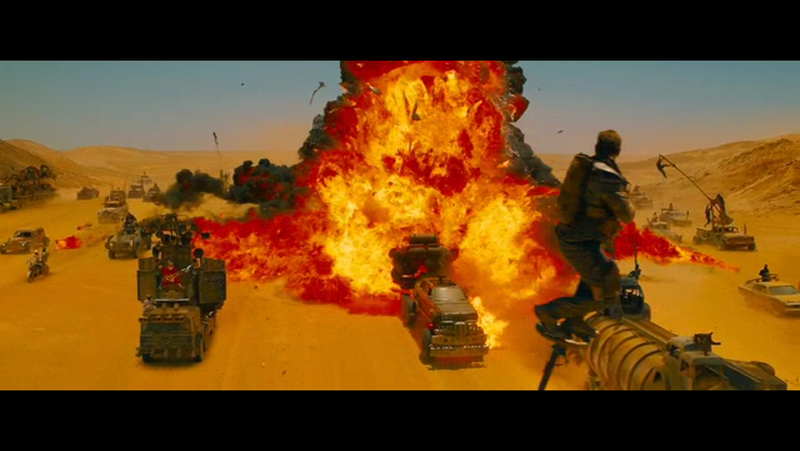 That’s pretty much the entire plot of Fury Road, but it fails to capture the essence of what is one of the most intense, full-throttle, and absolutely insane action films of all time. But to reduce Fury Road by calling it an “action movie” is to ignore the craftsmanship, storytelling mastery, and the scale of what had to go into this film. Writer/Director George Miller has returned to his original creation 30 years after Max was last seen on the big screen and has managed to build something that feels unlike anything we’ve seen before, yet entirely at home in the universe of Mad Max combining elements of all three previous films. On the one hand, Fury Road defies description; it’s the sort of film that must simply be experienced, preferably on the big screen. But on the other hand, it also provides so much to talk about, from its strong feminist tendencies to its impeccable stuntwork to its brilliantly crafted visuals to its surprisingly clever storytelling. 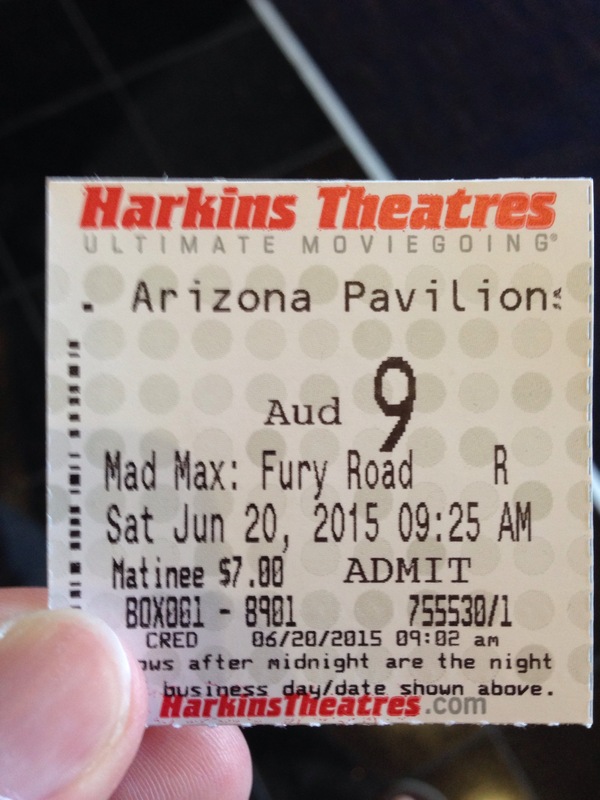 Fury Road is simply one of a kind. Welcome to “Trailer Tuesday” where we look at trailers for upcoming movies. 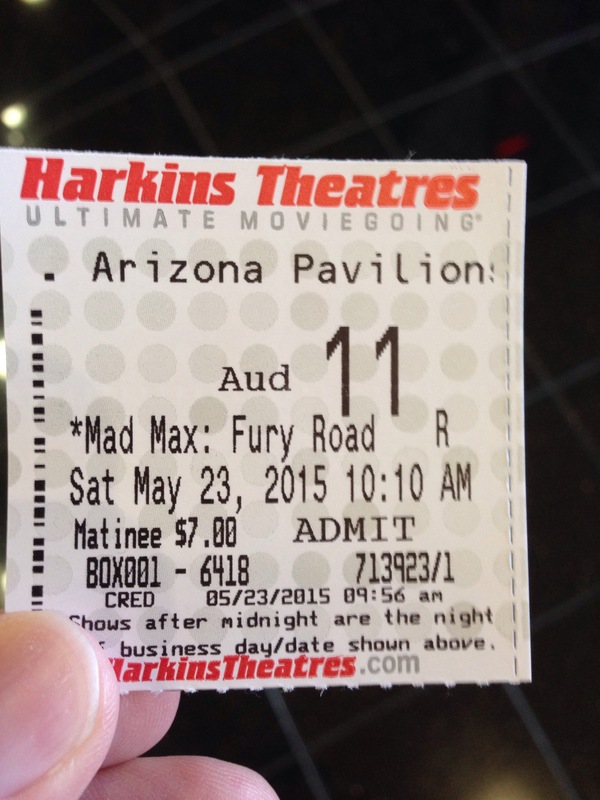 The Mad Max films form one of the most bizarre trilogies out there. A product of the unique mind of George Miller (known more these days for the Babe and Happy Feet movies), each film had a drastically different style and feel. The first film, Mad Max, is the darkest of the three, with its tragic story and its nihilistic style, and it helped introduce the world to Mel Gibson. The second film, The Road Warrior, is an absolute masterpiece, possibly the greatest pure action film of all time, whose chase sequence is one of the most pulse-pounding and electrifying sequences ever put on film. The final film, Beyond Thunderdome, is almost too strange to describe, with Tina Turner overseeing a town powered by pig methane where arguments are settled in the craziest of cage matches (“Two men enter, one man leaves!”), and a group of abandoned teenagers who think Max is a prophet.